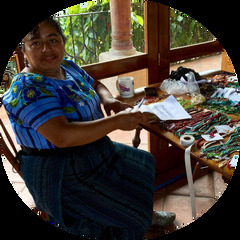 Turquoise stones, crystals and seed beads make up this popular bracelet that is handmade in Guatemala. Also features a magnetic closure. Measures 7" long by 1" wide.